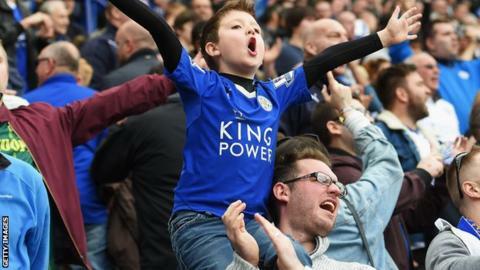 Tickets to watch Premier League leaders Leicester's final home game are being offered for £15,000 a pair through an online re-sale website. They face West Ham and Swansea at their 32,312-capacity King Power Stadium then Manchester United at Old Trafford, before the game against Everton next month, followed by the final match of the season away to last year's champions Chelsea on 15 May. "The club have been brilliant with fans these past couple of seasons. But I think there will be a few questions for them to answer as to how this has happened. I can't see how ordinary fans could afford to pay £15,000 for two tickets - it's the price of a second-hand car."